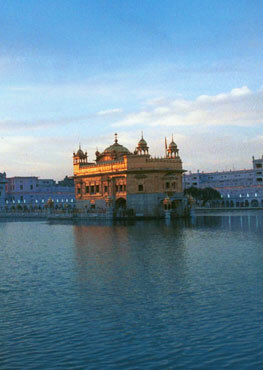 The Sikh Gurus and the Bhakti movement shared many similarities as well as a number of differences. Sikhi is not simply an extension of the Bhakti movement but a new movement entirely. While the Bhagats shared some of the same beliefs as those expressed by the Gurus, the Bhagats were not able to make a clear break from their religious heritage. Bhakti is the path of devotion to and love of the One. The Sikh Gurus on the other hand were able to make that clean break to form a new pathn which grew and has survived the test of time, unlike many of the Bhakti reform movements which did not. Why was the Sikh Path different from the Bhakti path? Guru Nanak Dev Ji took the natural love and devotion of the Bhaktis and expanded it to the entire world. While the prayer of the Bhakti is: "Oh my beloved, I long to be with you. 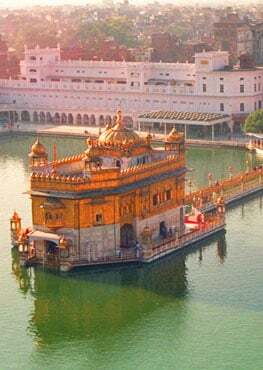 Bless me with your Darshan" the prayer of the Sikh is "Sarbat da Bhala," May the entire world be blessed and enlightened. This understanding,that it's not just about Union with the Divine, but it's about the entire humanity rising together in blessing. Sikhs consider the works of the various Bhagats in Sri Guru Granth Sahib as being equal to the writings of the Guru's themselves and as such, deserving of the same respect and reverance. Kabir was a strict vegetarian and strongly believed in the doctrine of Ahinsa, non destruction of any life; man, animal or even a flower. The Sikh Gurus did not believe in this Hindu practice.